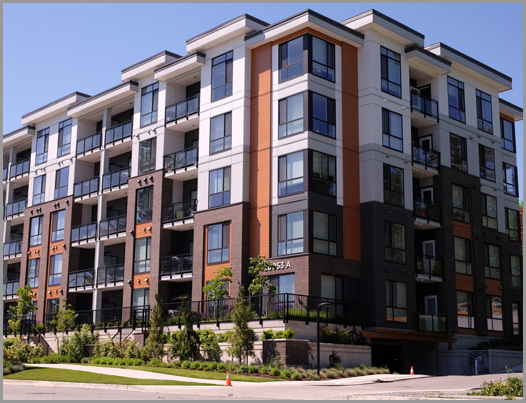 MHCI began its wall, floor and stair panel business in 2005 and has supplied almost 2,000 residential units yearly throughout British Columbia and the US. MHCI’s expertise supports its customers’ strengths in existing markets and their efforts to aggressively develop emerging markets. 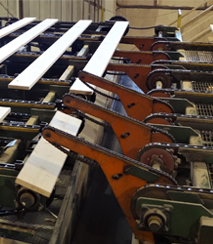 MHCI custom-processes approximately 50 million board feet of lumber annually through its highly efficient Newnes trimming and sorting system. 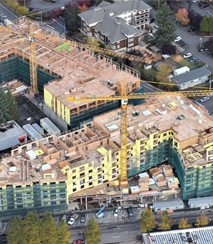 Large Residential Development consisting of 7 apartment buildings and 7 townhome buildings. Buildings/units integrated onto a complex steeply sloped site. 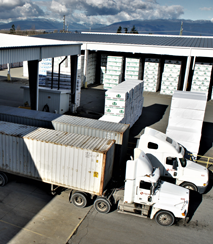 Custom processing of softwood lumber products and procurement, handling and shipping of softwood lumber, wood panel and engineered wood products. ©2017 Mitsui Home Canada Inc.